About five years ago the local police department approached me to help them locate a group of people who were defrauding our lending industry. I had left that life behind me and become a Real Estate Broker as, you must realize, being able to locate homes that are valuable as investments as a psychic is not a bad gig, though not many people in my industry were aware of my background. I had worked with the police in my youth helping to identify criminals with my ability to sense the connection of a weapon to the owner and my occasional visions I received. I did this voluntarily for about two years in my early 20’s and the local police where I had relocated caught wind of this. While I was unsure of what exactly I could do, I knew that in doing this I would be safe, but it cost me more that I could have possibly foreseen. The group I was asked to target were attracted to my skill sets and I soon infiltrated their organization. The only problem was I could not get rid of them. They would come to see me at all hours of the day and night. I had relocated multiple times to avoid them because the work I did do was an abusive use of my talents. They sought me out because of my sight. Most of these people lived in fear and I provided comfort at a certain level. The local authorities I was working with turned their back on me when they found out whom I was dealing with and left me to my fate with subtle reassurance to rid myself of them. While I had suspicions on how deep the rabbit hole was, no one would actually tell me. I knew I had to keep every file, every note everything ever presented to me. So I did for years. Still I felt protected and safe. And I managed to navigate and avoid difficult situations via gut instincts and intuition. Car theft, break-ins to my home, avoided accidents, avoided thefts. Psychic warning bells if you must. I went untouched for years. As time went on, I collected information, corporate documentation, and all the information I could above what was needed in an effort to protect myself. It is what I knew I had to do; it was the only thing I could do because I had no evidence to suggest to the contrary and no local officials were willing to do anything to help. I was finally approached by the US Department of Justice to turn Evidence on what I had gathered to offer my assistance as Volunteer Federal Witness. During this time I received bad vibes of death of a specific individual whom I later found out was burned to the point of death in an “accidental” car explosion and another bad vibe of death for someone whom, thankfully was taken into custody before they were injured. I was able to explain my thoughts and feelings as to where and when to look and I also was able to describe things I could not possibly have known but did. Because I felt the people and was channeling the locations to where they were the investigating officer made serious accusations about how I was guilty by association and how I sounded just like them. Even though I had not done anything wrong, and was 100% USA born and bred my father a War Vet and my family all good Christians I was forced to lawyer up. I found the only lawyer in my state, via my abilities, who had actually worked at the same office as the investigating officer. This was two states away and miles from where I reside. A needle in a haystack, impossible, but I found him via my guides, and he was the right man for the job,. The information I collected via instinct and tedious documentation, though I did not have to do so, was utilized and used to track a larger operation of people than I had originally suspected. My additional instincts, gut feelings, and visions were utilized properly via this attorney who in turn obtained a letter from the US Department of Justice to my Federal Volunteer witness standing. These people caused me to file a 4 million dollar bankruptcy from identity theft, loan fraud, lender fraud and was not limited to the people I was originally asked to help the local police with. It turned out to be lenders, loan officers, and industry officials in addition to parties that were attached to the people I was originally asked to oversee. These people where pawns to a larger part that I was able to connect with unconsciously. These things that happened had to happen to enable the Government to do what they needed to do to go after the larger more powerful individuals who defrauded our industry and stole from thousands of people. IF you do not believe in GOD, you may want to ask me how many angels I have around me each and every day. There is no way I could have possibly navigated this without them. This is the first time I have been able to even share this.  So if you want to see the things I can really do come find me at AbsolutePsychic.com. I am not done with Real Estate yet, but I am not going to hide my abilities, knowledge or skills any longer. What I am a part of now will blow you away.  Yes, I am one who posted about my life as a Psychic Spy which is still here on the site. But there has been more. One thing that most people are not aware is that When all these things were going on in my life. My husband was diagnosed with cancer and after many treatments the doctors told us there was nothing more we could do. I refused to let the doctors tell me that things were hopeless.